Focus will be on women’s participation and partnerships that can catalyse climate justice. On Monday 22 September, the eve of the UN Secretary-General’s Climate Summit, over 130 women leaders will gather in New York to demonstrate their commitment to ambitious and gender sensitive climate action. 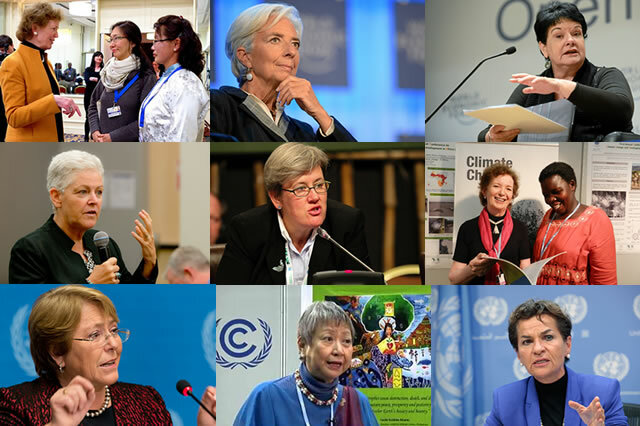 As world leaders gather in New York to focus on climate change, the particular needs and responses of women, in terms of climate policy, will be highlighted at an event hosted by UN Women’s Executive Director Phumzile Mlambo-Ngcuka and Mary Robinson, founder of the Mary Robinson Foundation – Climate Justice, titled Leaders’ Forum on Women Leading the Way: Raising Ambition for Climate Action. Travelling from 54 nations, and urging concrete action, women leaders representing grassroots and indigenous, young women and academicians will sit down with former Heads of State and Government, policy makers, heads of civil society, international and private sector organisations to discuss robust climate action that is good for people and good for the planet. “Women and girls are on the front lines of climate change. Around the world, day by day, women and girls are finding climate change and sustainable development solutions. This event is a chance for their voices to be heard, and UN Women will carry their perspectives forward to the Climate Summit.” said UN Women Executive Director Phumzile Mlambo-Ngcuka. Echoing traditional learning circles, the participants will discuss in a round table format about ambition, participation and partnerships that can catalyse climate justice. Climate change impacts everyone, but the poor and the marginalized, many of them women and girls, are the most impacted. For instance, women are often constrained in their response to sudden onset of hazards such as floods, cyclones, mudslides when they are not authorized to leave the house without a male companion and are expected to care for children and the elderly and ensure their safety first before their own. Similarly, women farmers are disproportionately affected by climate change because of their limited access to natural resources and limited access to information and services about climate resilient and adaptive agricultural strategies and technologies. Women leaders however are stepping up to the challenge. From all walks of life they are leading the way to a carbon-neutral and sustainable future for all. They are showing leadership on climate change action through leading global grassroots movement to find common solutions to the climate crisis, promoting of green investments, developing energy efficient technology, managing small-scale irrigation projects, engaging in recycling and efficient waste management systems, and boosting efforts to increase awareness and mobilize mass action. The women leaders at the event will carry the voices and concerns of the diverse participants to the official UN Climate Change Summit taking place the next day.